Kim Edward Wadsworth was born on November 9, 1934 in Portland, OR. He was the only child of Edward and Lucia (Mullan) Wadsworth. Being raised in Eastmoreland, Kim attended Duniway Elementary and Cleveland High School. His father passed away when Kim was only 9 years old. Kim joined the army at 18 years of age and was excited for his first assignment in Ethiopia, Africa. He then served in Hokkaido, Japan followed by a journey to Kassel, Germany. It was after returning stateside to work for the National Security Agency in Maryland that he met his wife, Cora Sue, who was from Arlington, Virginia. After being assigned to Fort Lewis, Washington, Kim was deployed to Vietnam. While serving in the Vietnam War, Kim earned the prestigious Bronze Star Medal. While stationed in Tokyo, Japan, Kim and Cora welcomed their first son, Mark. The following year he would serve his final tour of duty in Augusta, Georgia. On April 30, 1974, Sergeant First Class Wadsworth retired from the US Army after 21 years of service. Kim and Cora would then make their permanent home in Milwaukie, Oregon, where they welcomed their second son, Matthew. After his military retirement, Kim worked at American National Insurance before going to work for the Portland VA Medical Center as the Assistant Chief of Security and Police for the next 18 years. Kim enjoyed golfing and traveling. He loved taking his family to Gleneden Beach on the weekends, where they would visit his mother and 2 aunts who resided there. He was an avid cook and thoroughly enjoyed good food, good drinks, and good friends. 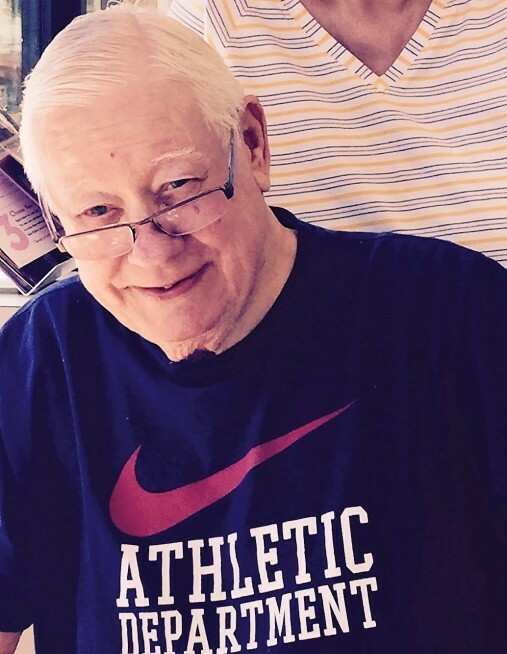 A lifelong member of the Milwaukie Elks Lodge, many would spot him there on Friday nights. He loved a good cigar while playing a game of Pinochle or Cribbage. His three grandchildren became his pride and joy, in whom he invested countless amounts of time and energy in caring for and attending their activities. “Kimbo”, as many referred to him, passed away on February 6, 2019 at the age of 84 after battling dementia. Although he lost his ability to speak clearly, he never forgot his swear words, which were a sign to those caring for him that he was having a good day! He is survived by his wife of over 52 years, Cora Sue; his two children, Mark and fiancé, Dani and Matthew and wife, Allison; three grandchildren and four step-grandchildren. He was a loving husband, father, grandfather and friend. To all that had the pleasure of knowing him, he will be greatly missed yet never forgotten. We hold onto the memories and carry on in love. A Visitation will be 10 a.m. to 12 p.m. Thursday, February 14, 2019 at the funeral home; followed by a Cemetery Service with Full Military Honors at 1:30 p.m. at Willamette National Cemetery, Portland, Oregon. "We're here to help in many ways ... every day"